Which Aberdeen Notebook shall I give away? Daycraft has added two new limited edition notebooks to their Animal Pals selection. These adorable books are based on the movie Aberdeen, and I just received one of each in the mail. This means an upcoming review AND since the inside of the notebooks are the same, it means I’ll be giving one away (and it will be open to international!). My question. Which one shall I give away? Greenie or the Blue Whale? Just comment with your choice by Thursday 11:59 PDT and then sometime in the next week or two, I’ll have a review and give away the edition with the most votes! 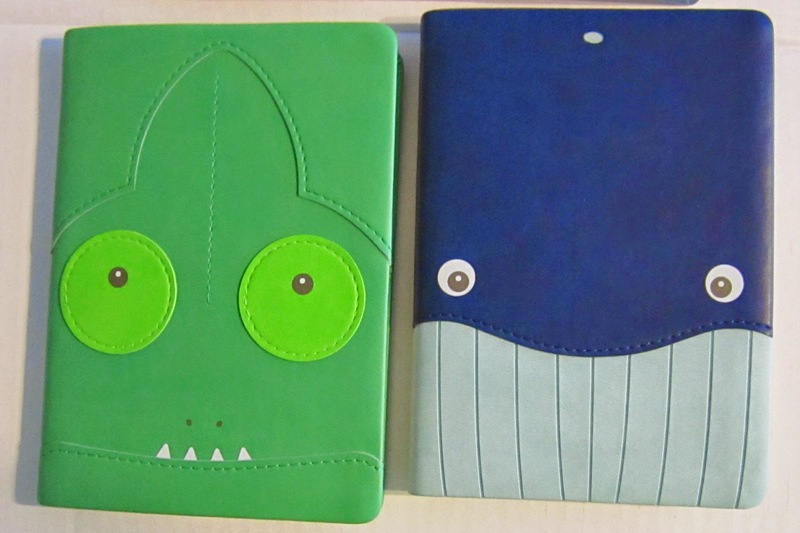 Next Post: Which Aberdeen Notebook shall I give away? They are really quite. But the blue whale is my choice. I see that Blue Whale is the growing favorite, and my preferred color, but Greenie would be my choice. Too cute, and easy to spot in a pile. I would love to win the Blue Whale! Blue whale! It looks normal at first but as soon as you see the eyes you get it and start to smile!